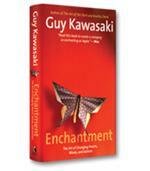 For a quarter of a century, Guy Kawasaki -- entrepreneur, evangelist, venture capitalist, blogger and guru -- has cast an irreverent eye on the dubious trends, sketchy theories, crackpot jargon, and outright foolishness of what so often passes for business today. Too many people frantically chase the Next Big Thing only to discover that all they've made is the Last Big Mistake. 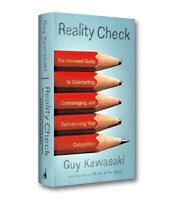 Reality Check is Kawasaki's all-in-one guide for starting and operating great organizations - ones that stand the test of time. How to raise money to fund your business. The truth behind hiring and firing. Three keys to the art of branding. How to master five valuable principles of innovation. How to create a community around an innovative product or service.